The school understands it must seriously upgrade Porter Moser's contract to keep him. ATLANTA — As the rest of America learned Saturday night – sometime between when Coach Porter Moser and his players cut down the nets and Sister Jean Dolores Schmidt put on her Final Four hat – the story of Loyola basketball has it all. A passionate coach who leads with his heart but uses his head to prepare a team that plays smarter than its opponents. A likable group of unselfish players. An adorable 98-year-old nun for a team chaplain. A David slaying every Goliath in its tournament path as a No. 11 seed. It doesn’t get any better than this in college sports. As far as institutional fits go, Moser and Loyola are hand and glove. The postgame scene was priceless, except Watson knows it isn’t. The cost of sustaining Loyola’s basketball success just went up again. That’s the reality of Moser’s “grass-roots rebuild” becoming something to behold on the Final Four stage, a mid-major model that blends talent and character with the proper balance between athletics and academics. 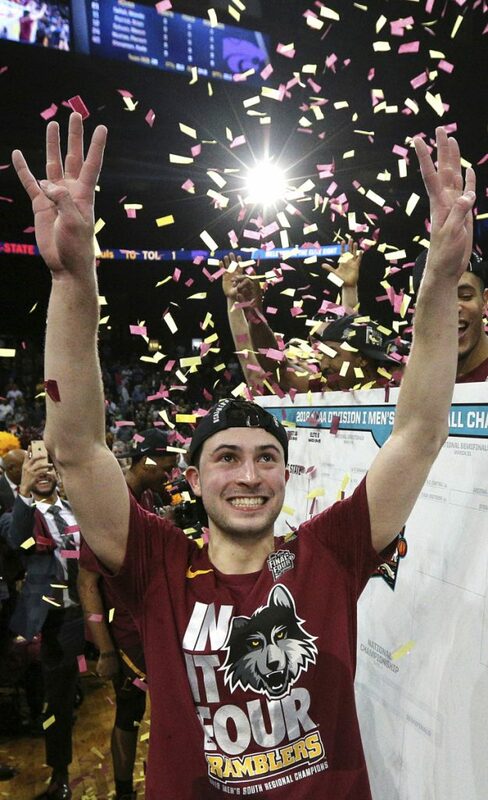 By the time workers swept the confetti off the floor, how to keep Moser was as common a question for Loyola as how to beat Michigan. He’s one of the hottest coaches in the country. Things happen in the coaching profession during Final Four weekend. Rumors will fly, jobs will open. The Rhode Island job remains vacant. Xavier could lose its coach, Chris Mack, to Louisville. Mack made $1.6 million last year at Xavier. Rhode Island paid Danny Hurley a package worth $1.1 million. Moser earns $420,000 a year on a contract that runs through 2021-22. Loyola could justify making him a $1 million per-year coach. The publicity this Final Four run has generated alone warrants giving Moser the hefty raise he earned. Donors with deep pockets exist. Without getting specific, Watson acknowledged the inevitable adjustment to Moser’s deal university officials continue to discuss internally. VILLANOVA: This will be the school’s third trip to the Final Four in Coach Jay Wright’s tenure. In 2009 it also advanced from the Boston regional before losing in the national semifinals. Four players remain from the team that won it all two years ago. “You can just see how together we are. Every Villanova team that I’ve been on has been like that,” point guard Jalen Brunson said.